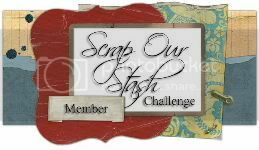 CALLING ALL SCRAPPBOOKERS AND CRAFTERS WE NEED YOU FOR THIS IMPORTANT CAMPAIGN! 1.We want you to craft or scrap something big or small & then share the Christmas love by giving this item to a neighbour or a complete stranger. 2. Challenge a friend or two to do the same. 3.Then get a "Christmas Love Campaign" BLINKIE from the www.susiebeestudios.com website or Susie's blog "My Sweet Earth'- ,and put it on your blog or website. 4.Visit the 'CHRISTMAS LOVE CAMPAIGN' - scrapbooking & crafting contest group on facebook share your ideas & enter our contest there or mail them in to susiebeestudios@gmail.com . You will have until January 4 ,2010. After that names will be drawn to recieve fantastic gifts packages from some awesome sponsors that are helping us spread the LOVE. Please help us touch the hearts of as many people as possible this Christmas season & spread the word about this campaign to everyone, any age ,anywhere, in churches, in schools, in homes, in craft stores. EVERYONE- TOGETHER WE CAN MAKE A DIFFERENCE! Hi There! OMG! I Love your work! It is great! And thanks so much for the Shout Out for the Christmas Love Campaign!